Before being the CMO of the startup Captain Train until it was sold to Trainline, Florent was strategic planning director of various consulting agencies. He worked at Lostboys Paris (now Digitas-LBi), at Emakina (Danone, Panasonic…), at TBWA Interactive (Leroy Merlin, France Télévisions…) and at Publicis Net Intelligenz (Netflix, Coca-Cola…). He’s also worked directly with big industrial groups such as Thales, Dassault Systèmes or Alcatel-Lucent and founded a startup to promote cinema, which was told to TBWA. 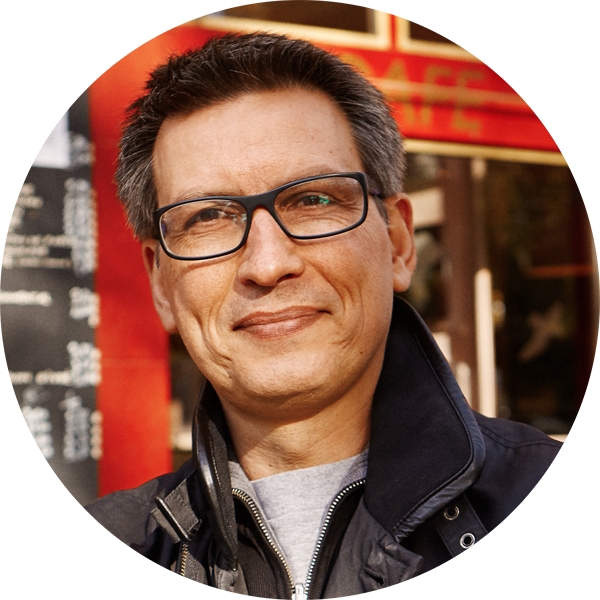 Florent is highly skilled in helping very large companies – as well as little ones – to digitalise, having worked on hundreds of 100% digital projects. These days, he’s helping several startups as well as Haigo on their strategy and digital marketing. Florent is also a trained architect, and would do pretty much anything for a good piece of chocolate, to never miss a remake of “One Flat Thing, reproduced” by William Forsythe or the replay of a rocket taking off.